FLOWP: The Works of Florian Pichon: Faster Roller Pussycat! 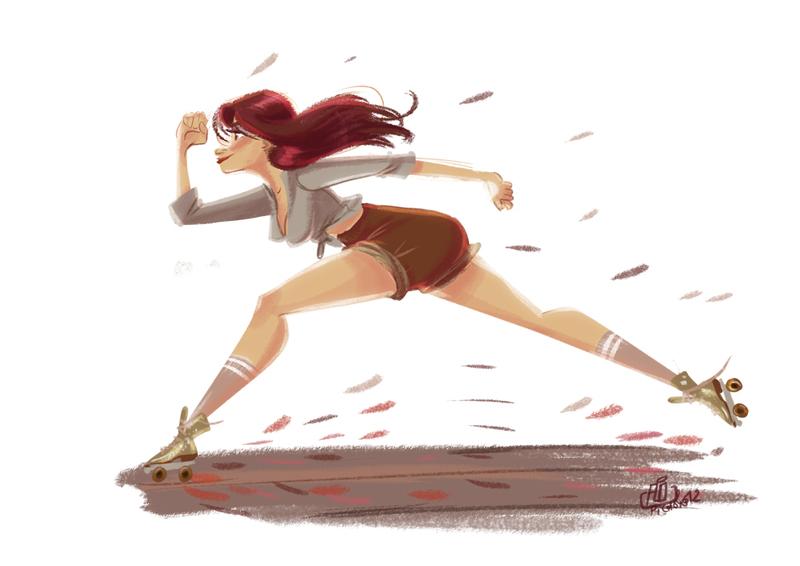 Today's warm up between two storyboarding sessions ! 70's Roller girl with golden roller , can anything be more groovy ? Echauffement du jour , entre deux sessions de stroyboard. Encore une fois une roller girl , tout droit sorti des 70's avec ses rollers dorés .